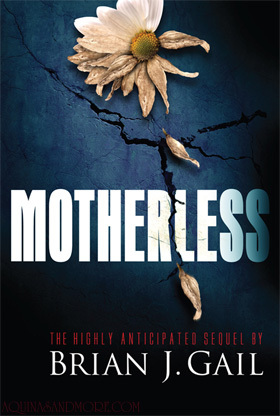 Review: Motherless … a novel every Catholic should read! Based in a parish in suburban Philadelphia, this book details the ups and downs of long time parishioners who are in the prime of their careers. All of the characters must choose between following Church teaching on bioethical issues or continuing to climb their respective career ladders. For instance, Michael Burns is the owner of an amazingly successful advertising agency that may be bought-up by a conglomerate, one of whose prominent clients is “Protected Parenthood”, a proverbial Faustian deal. His longtime friend, Joe Delgado, gets promoted to CFO of a biotech company that wants to pursue manufactured remedies to childlessness. Maggie Kealey, a nurse and newly named CEO of a Catholic hospital, has to decide whether it’s more important to keep her position or to fire the entire Ob/Gyn department of doctors who are prescribing contraceptives and trafficking in embryo sales. Interwoven through each of these subplots is the basic tenet of TRUTH — and the Church’s stand to protect truth. Father John Sweeney, pastor and long-time friend to the characters described above, is the voice of the Magisterium in this book. He helps ferret out the truth from the satan-inspired fiction of biotechnology; he helps the very-human characters get back in line with Church teachings and hears their confessions when they go astray. In the midst of all the book’s turmoil and suspense, Fr. Sweeney is often seen praying to Our Lady, reciting the rosary, or asking for her graces on all his friends — even if he needs to pray all night long, waking in front of the tabernacle just in time to prep for morning Mass. This is a wonderful book. The story is tightly written with lots of drama and suspense — but not so much as to be melodramatic or sensational. Motherless takes the reader by the hand and clearly explains the rights and wrongs, the facts and fictions of Catholic teachings on bioethical issues. Motherless teaches the Truth! I highly recommend this book for all Catholics, highschool and above, who need to understand the Church’s teachings about the culture of life in the midst of life in a culture of death. I wrote this review of Motherless for the Tiber River Blogger Review program, created by Aquinas and More Catholic Goods, your source for Baptism Gifts and First Communion Gifts. The only compensation I received was a free review copy of the book. The critique above is my honest view of this work of fiction.